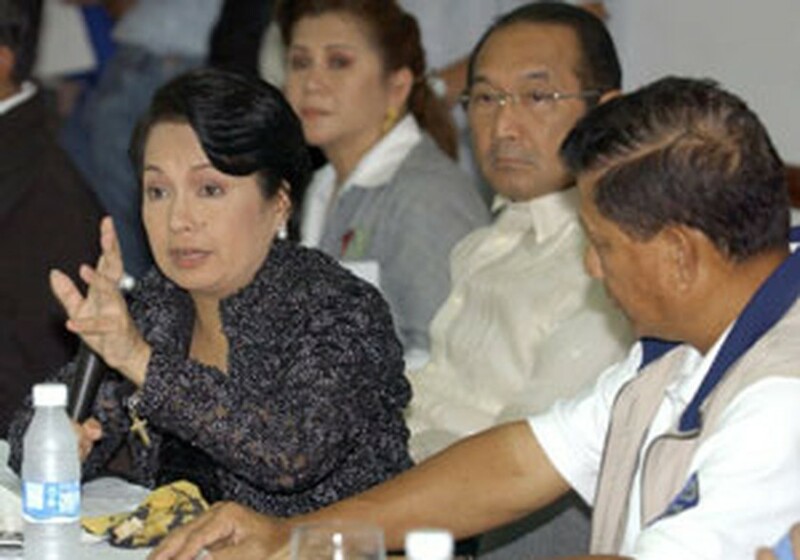 President Gloria Arroyo (L) gives instructions to cabinet officials in Manila, Dec. 1, 2006 after super typhoon Durian rampaged across northern Philippines. At least 388 people are confirmed dead and 96 missing after rivers of mud and volcanic ash triggered by a typhoon swamped villages in the Philippines, the Red Cross said Friday. All the dead are in the eastern province of Albay, said Philippines Red Cross spokeswoman Teresa Arguelles. She also said she expects the figure to go higher as rescuers reach places that were isolated by heavy rains and winds brought on by Typhoon Durian. Elsewhere in the Philippines at least one person was killed in the town of Canaman after being hit by a piece of metal roofing blown off by the typhoon, the civil defense office added.